The 36-year-old has been suffering from multiple medical conditions and her treatment will be a long process. 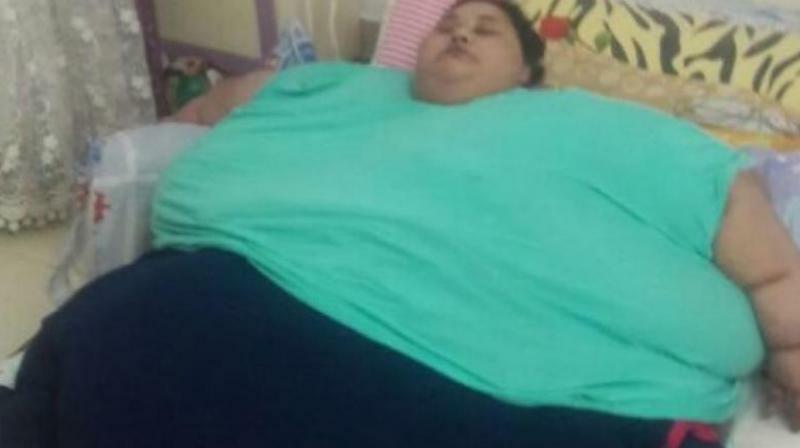 Mumbai: Amid the fund-raising efforts for the treatment of an Egyptian woman who weighs around 500 kg, a city-based doctor who will be treating her here visited her home country recently. Noted laproscopy surgeon Muffazal Lakdawala flew to Alexandria last week to meet Eman Ahmed, probably the heaviest person in the world, and discussed her medical conditions. Eman’s treatment is getting delayed, mainly due to the factors like transportation and steep medical cost supposed to be incurred by her family. Next post: If You Soak Your Feet In Apple Cider Vinegar – This Is What Happen – That’s Amazing!